Childhood friends Ryk Francisco and Sean Kelly both grew up in Eugene. After pursuing different career paths — one culinary, the other in restoration and design — they reconnected to chase a shared vision: creating a community-driven restaurant in their hometown. In 2014 they opened WildCraft Cider Works, Eugene’s first cidery, complete with a taproom and restaurant. 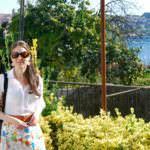 Community outreach and education are pillars of the business. Kelly often hosts events at the cidery, speaking to the history of apples, local agriculture and the idea of urban fruit gleaning — a practice at the heart of the cidery. In the area, hundreds of fruit bearing trees are left to go “wild” each year, Kelly explains. The fruit falls, and then rots. “These trees grow in our backyards and side streets, on our hiking trails and in our neighboring farmland,” he says. Harvesting this forgotten fruit is part of WildCraft’s mission. The majority of apples Kelly uses are from wild-harvest efforts. As you might imagine, each one of their ciders has a story, whether it’s the Snake River Rye, which is aged for three months in whiskey barrels from Eastern Oregon, or the popular micro-batch “perry” ciders made from fermented pears. The menu items prepared by Francisco are designed to pair perfectly with what’s on tap. Each farm-fresh dish (e.g., smoked chicken brochette, truffled mac and cheese, and savory seasonal tarts) is prepared with ingredients sourced from local growers. Throughout the year, the chef and cidermaker forage and harvest with friends, so there’s always something fresh and creative to try. After trying an expertly-paired meal at WildCraft, walk over to a luxurious room at the Inn at the 5th, a boutique hotel next to Eugene’s vibrant 5th Street Market. Stock up for your road trip at Provisions Market Hall, located just next door. Throughout the year, the chef and cidermaker forage and harvest with friends, so there’s always something fresh and creative to try. 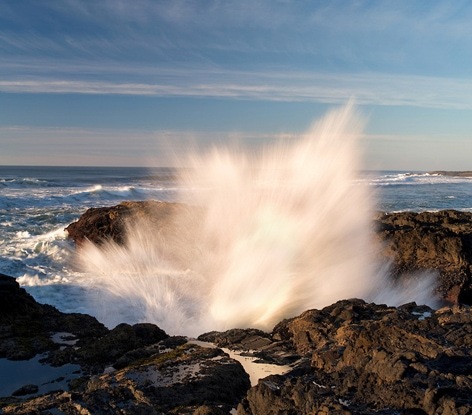 Nearby awe-inspiring vistas include Cape Perpetua Scenic Area, where mossy spruce forest meets the tumultuous sea, and Yachats Commons Park, one of the best spots for surf watching and sunsets. Continue cruising down the historic Highway 101 toward the town of Florence. 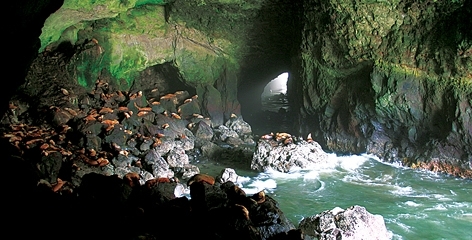 Stop by the famous Sea Lion Caves — it’s not only the largest sea cave in America, but home to countless wild sea lions who frolic in white-capped waves and bellow from their rocky ledge with the brio opera singers on stage. Photographers will want to capture the romance of Heceta Head Lighthouse, the stately structure dates back to 1894. You can even stay the night at the on-site bed and breakfast, and enjoy sweet dreams in one of the last remaining light keeper’s cottages on the Pacific Coast. For lunch, Kelly and Francisco frequent Home Grown Public House in Florence. 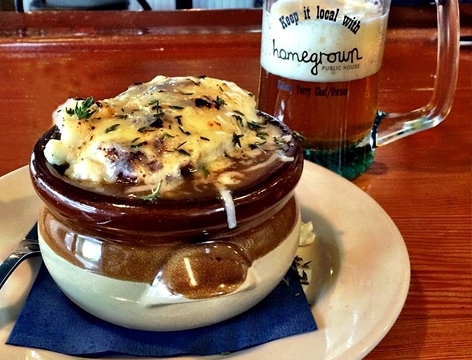 “It’s family-owned with a super creative menu and organic ingredients,” says Kelly. 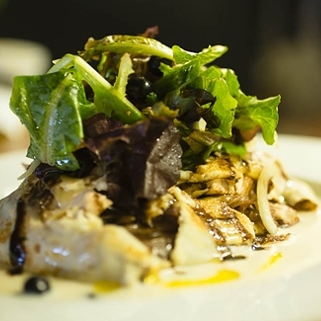 You’ll find dishes like grilled oysters with cider mignonette, grilled arctic char with fried spring potato hash, fiddlehead ferns and nettle pesto, and wild mushroom risotto. Next, tour the celestial Oregon Dunes National Recreation Area, the most expansive stretch of coastal sand dunes in the nation, or paddle the Siuslaw Estuary Water Trail where you can spy blue herons and osprey in flight. To taste the essence of the sea, visit at Umpqua Aquaculture. “This is a very ethically designed Oyster farm located in the heart of Winchester Bay,” says Kelly. Here, where the Umpqua River meets the Pacific Ocean, oysters are cultivated using suspended long lines. Follow the “Shucking Oysters Today” sign to the processing center on Ork Rock Road. You can watch a video on oyster farming, see shucking in action and order oysters on the half-shell for a late afternoon snack. After the smack of your first sea salt kiss, you’ll realize that there’s no taste quite like the bounty of the Oregon Coast. WildCraft Cider Works by Justin Bailie; Cape Perpetua by Dennis Frates; Sea Lion Caves; Home Grown Public House.